Language Immersion School Houston: Use These Language Tips Today! Helping your child to learn to speak well is essential to his or her development, learning capabilities, and overall growth. Giving your son or daughter the tools to be able to speak, read, and understand others well will be utilized for the rest of his or her life. In this post, we’ll discuss how you as a parent can help your child understand how to communicate with others and learn proper speaking skills as well. If you’re interested in enrolling your child in a bilingual preschool, look no further than Crossing Borders International Preschool here in Houston! As a Top Rated Local® child care facility, we’re dedicated to offering a language immersion preschool that is focused on teaching children ages 18 months to six years old. If you’re interested in enrolling in our classes or learning more about Crossing Borders, give us a call today! Baby talk is adorable, but if you’re interested in helping your child learn to speak well, it’s best to pronounce words correctly and fully in front of your child. Talk about everything – the weather, the schedule for the day, the plans that you’ve made, the foods you’re eating, and what you’re wearing. Interactive conversations, such as asking questions, discussing ideas, and even narrating what you’re doing can help your child receive a steady stream of language and words. Speaking consistently and correctly in front of your child will help him or her to increase vocabulary skills, as well as understanding for the meaning of words. Avoid using slang or pronouns as much as possible. For example, instead of saying “Bring those over here, please”, say “Bring your pink light-up shoes over here, please ”. Naming items in your child’s environment will help him or her to learn the names of items and belongings. Also, using complete sentences will also foster proper speaking habits. Even if your child is too young to speak in complete sentences, he or she will pick up on what you’re saying and learn the right names and words for items in your home, school, and environment. If you’re a parent, you’ve probably experienced the “why?” stage. While it may seem like your kiddo is asking this sometimes annoying question a million times a day, the “why” inquiry is a great learning opportunity for him or her. Answer in a complete sentence and explain as much as is appropriate for your kiddo’s age. Further, when your child is doing something, ask him or her questions about the activity. This will require a response and an explanation, which can teach critical thinking skills and utilize vocabulary. Reading to your child every day will help him or her be leaps and bounds ahead in communication skills. Name everything in the photos, discuss the facial expressions of the characters, and talk about how the story makes you feel. Reading will help your son or daughter learn new words the proper speaking and sentence structure of language. This is especially helpful if your child is learning a second language. You can read books in two languages so your kiddo can see and learn the difference between the words and how the sentence structures are similar and different. This can be difficult if you’re busy with other tasks, but simply talking through a car ride or grocery trip can be a way to practice communication skills. Point out everything around you and name items and objects. Speak to individuals around you and encourage your child to respond and speak back to people. Communication is a constantly evolving and ever-improving skill, so helping your child practice his or her skills and vocabulary is an incredible way to teach a love for learning, reading, and speaking. Communication is an essential part of life. 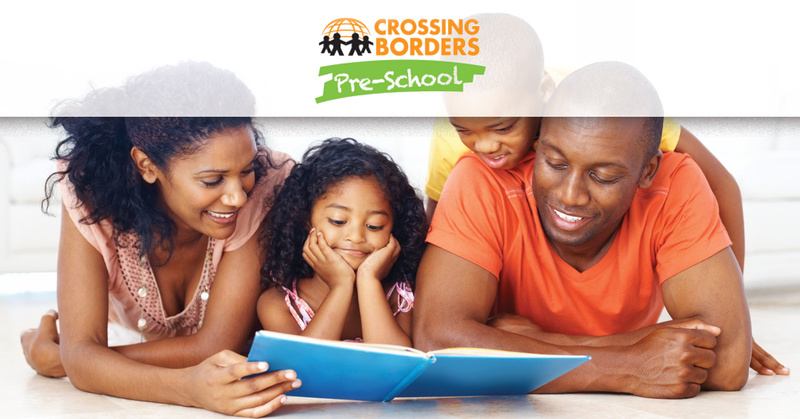 Give your kiddo the tools to grow, learn, and thrive by enrolling in Crossing Borders International Preschool in Houston! We’re proud to offer an incredible bilingual curriculum and environment to our students so they have the opportunity to learn a second language while in our care. Give us a call today to learn more, or fill out our form now to learn about our different class options and our after-school care programs. We look forward to hearing from you!